Yep, you read that right: “Food Shark” has its own emoji. 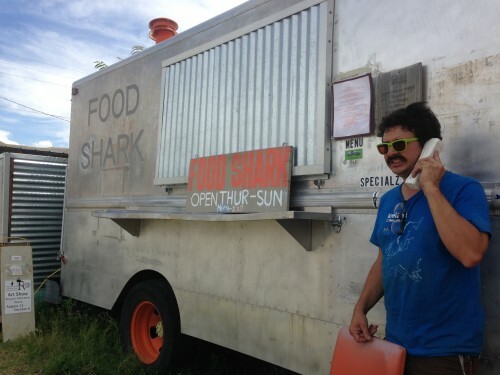 Food Shark is a food truck, popular with desert-romanticizing tourists and locals alike. It’s probably the only place you can find Mediterranean food in the middle of the West Texas desert. Oh and remember when Beyonce ate there that one time? That was kind of a big deal. And if that didn’t make Food Shark a pop culture phenomenon, well, this probably does. 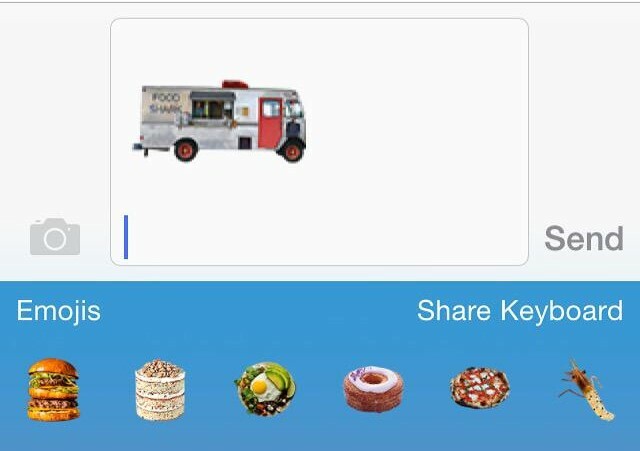 “It’s the only food truck emoji, everything else is cupcakes or cheeseburgers or sriracha sauce or whatever,” says Adam Bork, the truck’s founder and owner. The Food Shark emoji in action. He’s the big-rimmed-glasses-wearing dude who owns the truck and also has a borderline unhealthy obsession with 8-tracks and vintage electronics, but that’s a story for another time. The online food magazine Food and Wine came up with the emoji honoring this Marfa icon. It actually came out back in May, but Bork just now noticed it. He got an email from the magazine asking if they could use one of his photos of the Food Shark for an emoji. Just like the vintage-looking tanktops emblazoned with “Marfa” you see for sale in Los Angeles, (yes, they actually exist), Food and Wine is apparently hoping to get in on a national fascination with this particular food truck. “I’ve heard people call other food trucks ‘Food Sharks’ in other states,” Bork says. While this could mean Bork’s really hitting the big time, he’s still got humble goals for the future. “I wanna stick around for at least like a 10th year anniversary and maybe like sell it to some young kid who’s you know, super rich, for a lot of money, and see what happens,” he laughs. This entry was posted in KRTS News and tagged Emojis, food, Food Shark, marfa, West Texas. Bookmark the permalink.